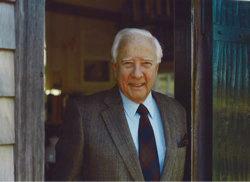 David McCullough - Pittsburghs Beautiful People! Born July 7, 1933, and educated at Yale University where he obtained a degree in English Literature, McCullough is a well-respected and highly awarded author, narrator and lecturer. Pittsburgh born and bred author David Gaub McCullough has published over eight books, with his first book “The Johnston Flood”, was published in 1968 and quickly become a best seller. Consistently on the best-seller list, McCullough has published great works of fiction and biographies that all remain in print – a true testament to the quality of his work. As well as being a two-time Pulitzer Prize winner, this Pittsburgher has received two National Book Awards and the Presidential Medal of Freedom, which is the highest civilian award. McCullough has also received two Francis Parkman Prizes for his work. As well as his distinguished writing, McCullough is also an accomplished film and TV narrator, having narrated several TV shows and documentaries, including “Ken Burns’ The Civil War” and “Brooklyn Bridge”. He was also host of the TV show “The American Experience” for twelve years, and the film “Seabiscuit”. So successful and publicly appealing are McCullough’s work that his two Pulitzer Prize winning biographies, that “Truman” has been adapted for TV and “John Adams” has been adapted for a mini-series. This multi-talented writer, narrator and lecturer is a true Pittsburgh cultural leader.